Yellow buses aren't the only way for students to get around the D.C. area this year. More schools are offering free transit rides to students looking to get to and from school, a job or elsewhere. WASHINGTON — Yellow buses aren’t the only way for students to get around the D.C. area this year. As kids return to class, more schools are offering free transit rides to students looking to get to and from school, a job or elsewhere. In Alexandria, Virginia, DASH now offers free rides to high school students who tap their new 2018-2019 student ID card from Bishop Ireton, St. Stephens & St. Agnes or Episcopal High School. That is in addition to free rides for students from the city’s public high school, T.C. Williams, that began last school year. Those free rides are only for DASH buses, not Metrobus or other services, but are available any time of day or day of the week. In the District, Metro and the D.C. government are moving away from using DC One Card student IDs for the city’s ongoing Kids Ride Free program. Instead, this year, all public and charter school students are supposed to get a special SmarTrip card at a distribution event or through their schools by Oct. 1. 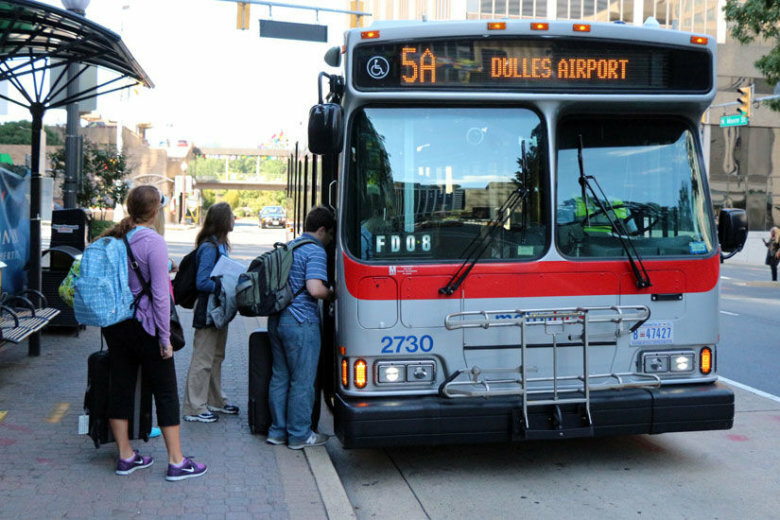 The District pays Metro to provide unlimited rail and bus trips to students, but there have been issues in the past with cards not working properly that have led to students not regularly tapping cards as required. D.C. students who have the new SmarTrip cards can ride free at any time on Metrorail, Metrobus and DC Circulator routes. Private school families living in the District are eligible for the free bus benefit, but must pay an additional $30 per month if they wish to add the unlimited rail pass to their student’s card. In Fairfax County, Virginia, a new trial of free Metrobus rides begins this school year only for Justice High School students. Those students are getting SmarTrip cards that can only be used on Fairfax Connector, City of Fairfax CUE buses and now specific Northern Virginia Metrobus routes between 5 a.m. and 10 p.m. That pass is not meant to be valid for Metrorail or any bus routes in the District or Maryland, and cannot have additional value added to it for those trips like a regular SmarTrip card. Across Fairfax County, the previous free student bus passes remain available to all students in grades seven through 12. Those passes that students flash to show the driver are valid 5 a.m. to 10 p.m. every day, but can only be used on Fairfax Connector or CUE buses. The “flash passes” are being phased out though Sept. 30, Fairfax County Department of Transportation spokeswoman Robin Geiger said. Like D.C. students, all Fairfax County seventh through 12th graders will be getting a SmarTrip card to use as their pass so they can tap each time they board. The Fairfax County passes available at each school in coming weeks will still be valid only on Fairfax Connector and CUE buses from 5 a.m. to 7 p.m. every day of the week. In Montgomery County, Maryland, students under 18 or still in high school can obtain a Youth Cruiser SmarTrip Card from any county library, some schools or several other locations to ride the county’s Ride On buses and some of the county’s Metrobus routes for free between 2 p.m. and 8 p.m. Monday through Friday. The Montgomery County program runs year-round, not just during the school year, but only applies on weekdays. With a Youth Cruiser SmarTrip, students can get significantly discounted monthly bus passes for use on Ride On outside of the free hours. Montgomery College students with current college ID cards are allowed to use Ride On buses free at any time. In Virginia’s Arlington County, elementary, middle and high school students pay a discounted $1 fare on ART buses only with Arlington’s student iRide SmarTrip card or with cash when showing a student ID. In Maryland’s Prince George’s County, TheBus offers free rides to students from 2 p.m. to 7 p.m. on school days. Students must show their school ID card. In Frederick County, Maryland, TransIT connector and shuttle routes are free for students who show an ID only for the first day of school on Tuesday, Sept. 4. In the Fredericksburg area of Virginia, Germanna Community College and University of Mary Washington students who show ID ride FRED, or Fredericksburg Regional Transit, free thanks to payments from the schools. Virginia Railway Express offers 50 percent off tickets for “youth” ages 11-18 that apply to the agency for a special VRE Reduced Fare ID and buy tickets themselves. Children 10 and under ride VRE free with a paying adult. Maryland’s MARC train offers 15 percent off tickets to college students who have signed up for the privately-run Student Advantage card. Editor’s note: This story has been updated to reflect a new switch from “flash passes” to SmarTrip cards for all eligible students in Fairfax County.